No, because I don't really listen to audio books. I've played one on occasion (if one of my actor crushes is narrating), but on the whole I don't enjoy them. I'm a visual person. I need to be looking at the page. Just listening, I get distracted by whatever else I'm doing and don't take it in. It is then sixty years since Edward Waverley, the hero of the following pages, took leave of his family to join the regiment of dragoons in which he had lately obtained a commission. Waverley sat down almost in silence, and with an air of absence and abstraction which could not give Miss Bradwardine a favourable opinion of his talents for conversation. Edward Waverley, a young English soldier in the Hanoverian army, is sent to Scotland where he finds himself caught up in events that quickly transform from the stuff of romance into nightmare. His character is fashioned through his experience of the Jacobite rising of 1745-6, the last civil war fought on British soil and the unsuccessful attempt to reinstate the Stuart monarchy, represented by Prince Charles Edward. 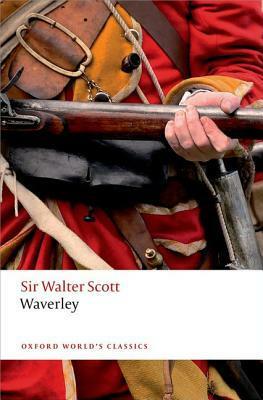 Waverley's love for the spirited Flora MacIvor and his romantic nature increasingly pull him towards the Jacobite cause, and test his loyalty to the utmost. Hi Louise. It's not too bad. Sentence structure is generally less winding than, say, Dickens or James. It does include a ton of literary references though. I'm rather enjoying seeing which ones I recognise, but if that would worry you, I recommend seeking an edition with a good notes/reference section at the back, to give you an explanation for all the allusions. I'm curious for more. Not a book I am familiar with at all. Happy weekend! Thanks for stopping by, Laurel. I may have to try this one eventually. Thanks for sharing! I read Ivanhoe way back when and enjoyed it, but am pretty sure I wouldn't be able to get through it today. Hope you enjoy this one! I read classics nonstop in my mid-teens. Now I am trying to 'fill in the blanks' with ones I missed back then. I hope you are enjoying the story. I tend to avoid anything even hinting of being a "classic." 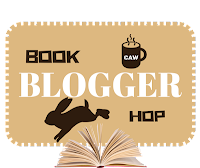 This week I am featuring Grave Witch by Kalayna Price - a book I first read before I started blogging. Happy reading! Oh, I love my classics. They take up a big chunk of space on my bookshelves. The history fascinates me. Not something I normally read but I want to read outside the box now and then. Yes, it's good to mix things up. I like to read across a lot of genres and time periods. Thanks for stopping by, Eli. I was the same with audiobooks in that I needed to read the text to focus and not get distracted but I've been adapting to audiobooks lately and really enjoying them. Glad you've been having some fun/success with them.